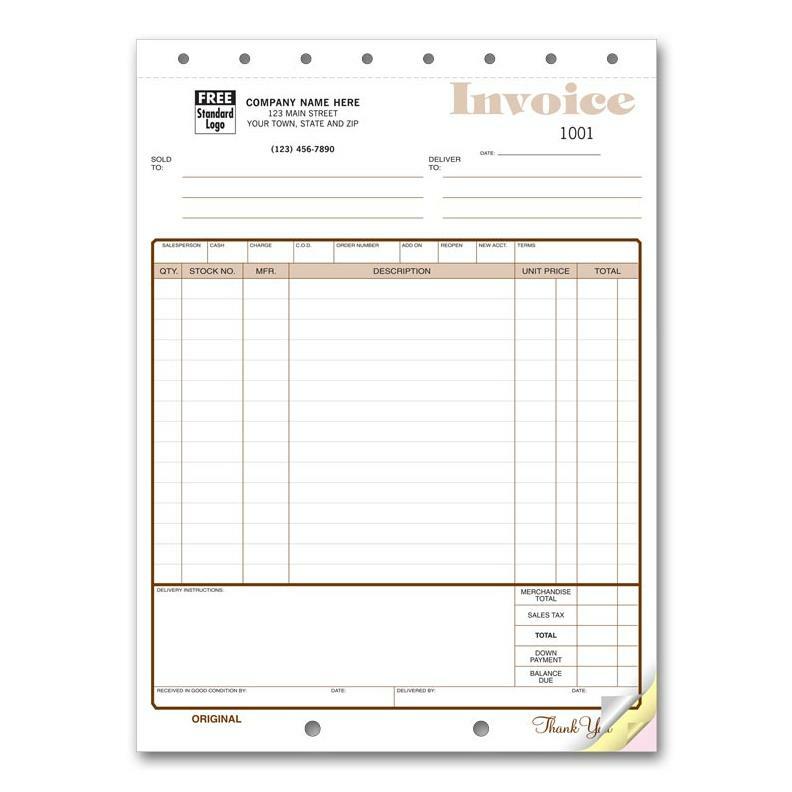 Invoice Book - Carbonless, Custom Printed, 8 1/2 X 7"
Work more efficiently with carbonless invoice forms printed at DesignsnPrint. Get instant online pricing and ordering. 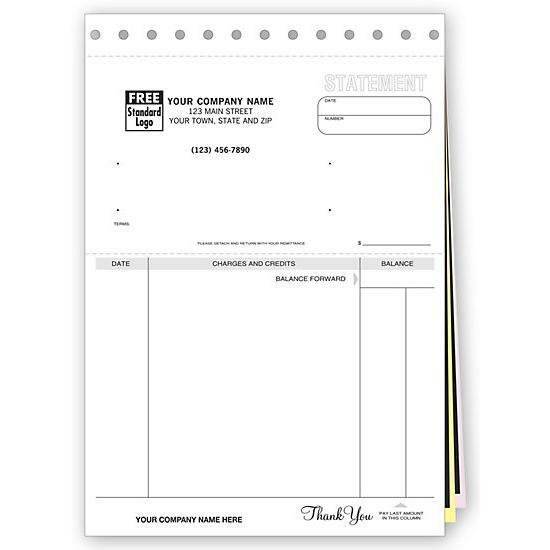 Custom invoice printing with your logo and company details on carbonless NCR paper. 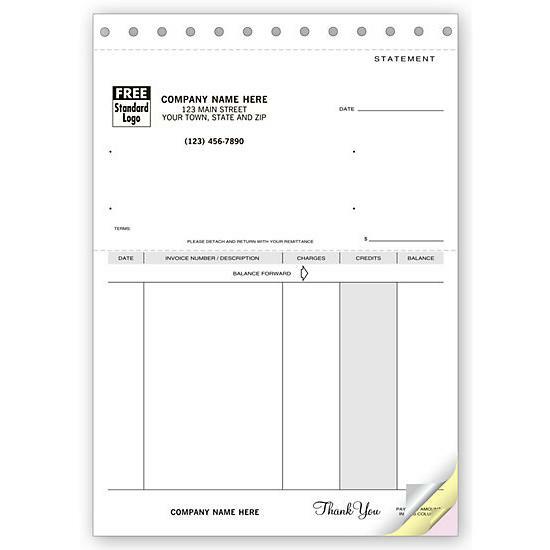 Manual forms printed for use in receivables, invoices, account statements etc. 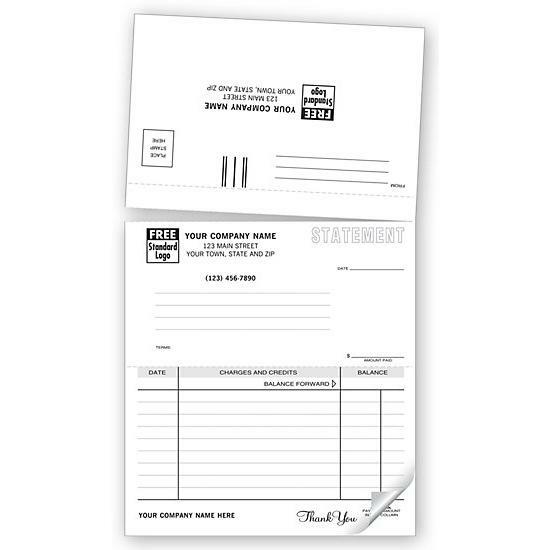 Booked or snap sets printed with carbon or carbonless. 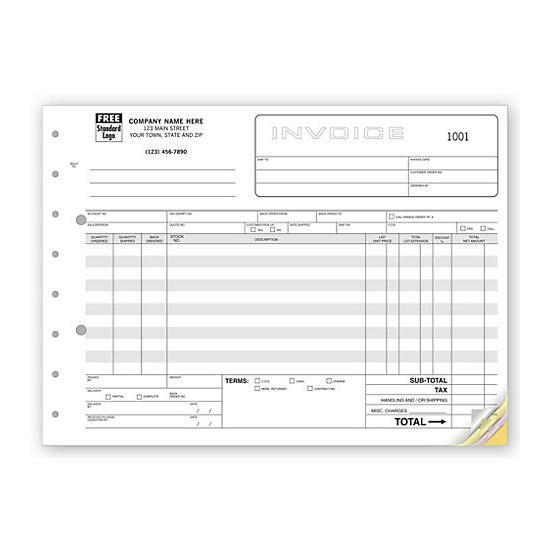 We have a wide variety of invoices that are commonly used in repair shops, retail sales, service technicians, and more. Fast turn around and ships within 5 days. 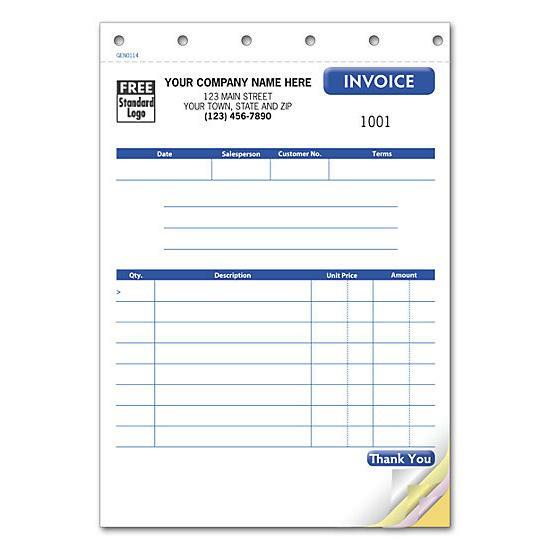 Send an invoice to collect past due amounts. 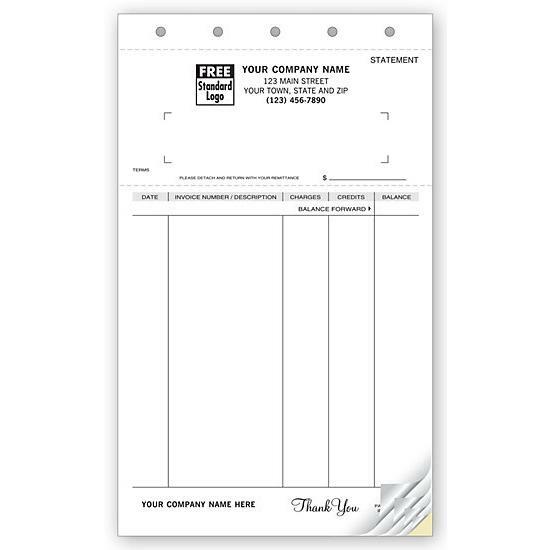 Select the template of the pre-printed carbonless form that relates to your business by clicking on the "Get Started" button. 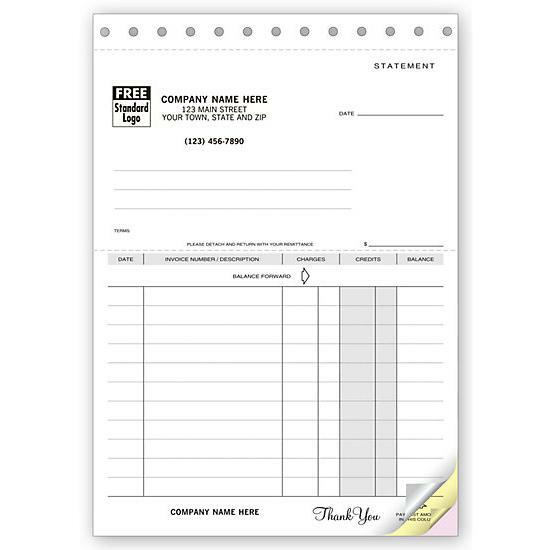 You will now have the option to customize the form by clicking on "Customize & Order Now" or request a price quote for further customization. 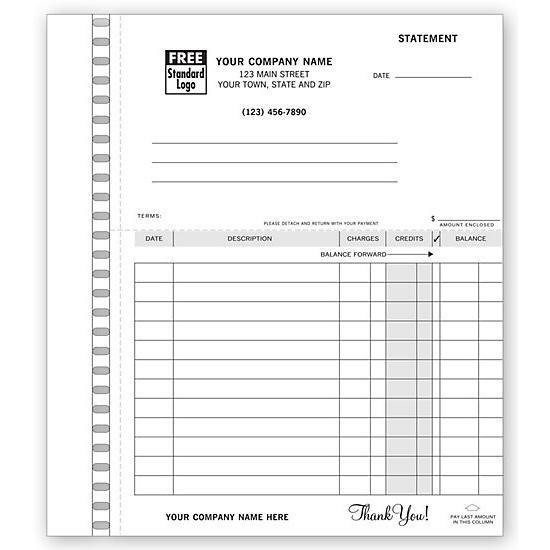 The order page gives you the options to input your business name, address, and other details pertaining to your business. You will also be able to select the sizes, quantity, number of parts, colors, consecutive numbering, shipping etc. 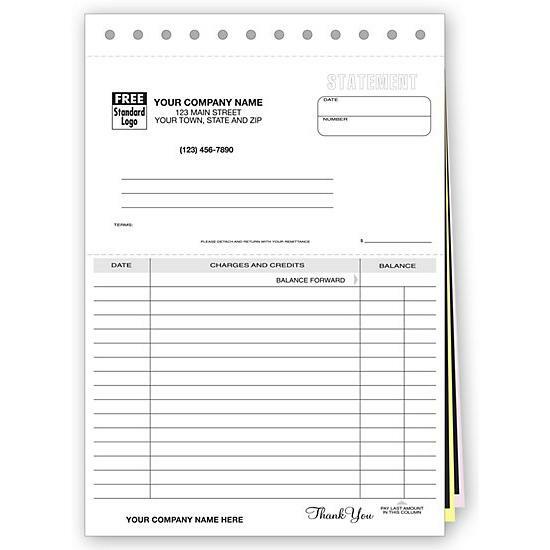 The total price is also shown and you can complete your order online. 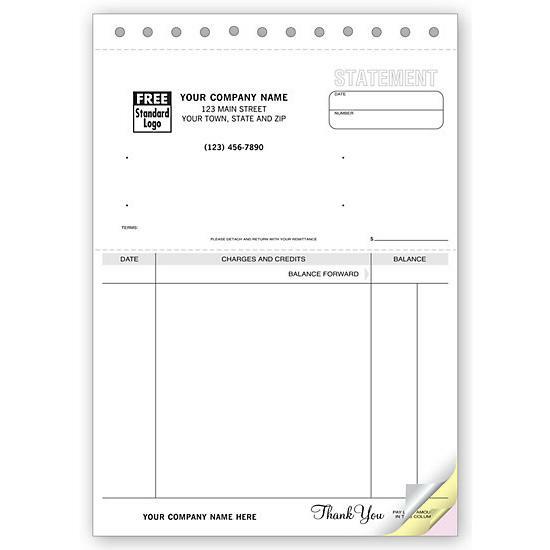 We offer carbonless copy job invoice forms, memos, account statements, & work orders for small businesses in a variety of sectors and industries. 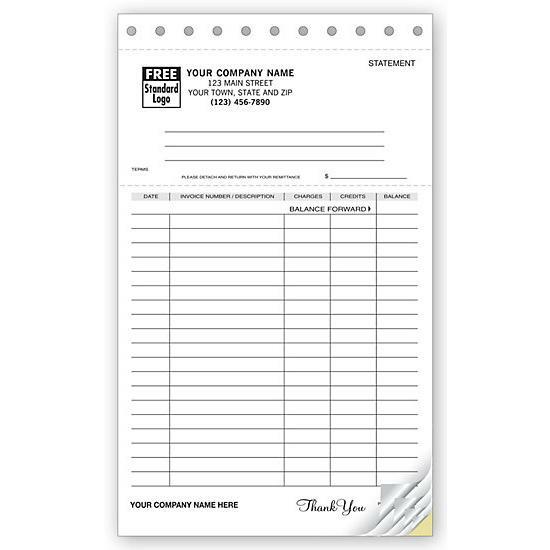 Some are generic while others are designed & printed with more personalization. 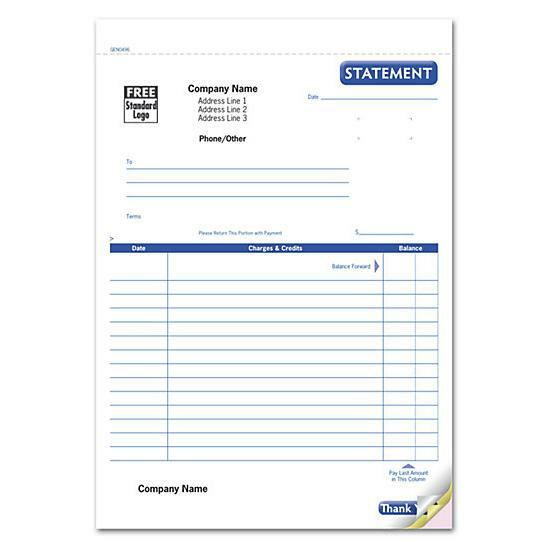 You can request to have your own design printed by uploading a file or have us design it from scratch. 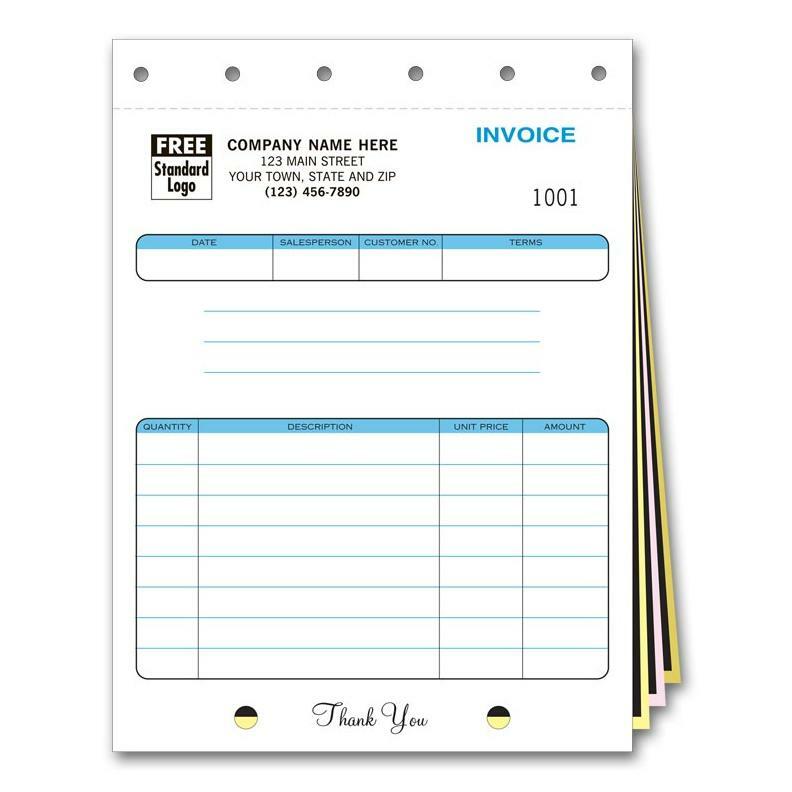 These are manual invoices and require you to write on them to record information. They are made in 1 part/Single, 2 parts/Duplicate, 3 parts/Triplicate, 4 parts/Quadruplicate, or 5 parts/Quintuplicate.